Our proprietary home improvement research encompasses baseline and tracking studies that profile the characteristics, attitudes and buying behaviors of consumers and professional remodeler customers. While our studies are geared to meet the individual needs of HIRI members, they also gauge trends in the market relevant to our members as a whole. Our findings help those at all levels of an organization. Insights teams can dig deep into raw data for analysis, tabulations, banner reports, tables, etc. Sales, marketing and brand teams can see trends and forecasts at a glance. Product, channel and other managers can utilize data through organized visual reports and summaries. Executive teams can readily access information through executive summaries and infographics that provide key takeaways in a quick, digestible format. Take advantage of quarterly opportunities to add questions to HIRI’s omnibus survey at a discounted rate. 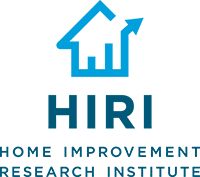 HIRI collaborates with leading organizations in the home improvement industry including Harvard’s Joint Center for Housing, NARI (National Association of the Remodeling Industry), NRHA (National Retail Hardware Association) and The Farnsworth Group, among others. Gather with other industry leaders and potential partners through our events. Receive deeply discounted registration rates for the annual HIRI Insights Conference exclusively offered to HIRI members. A summary of studies is presented by HIRI’s research partners via the web. Our members run HIRI’s research. Choose to serve on a committee and help set the direction of research initiatives. Receive our monthly news update featuring HIRI’s research highlights along with hot topics, additional home improvement news and industry developments.